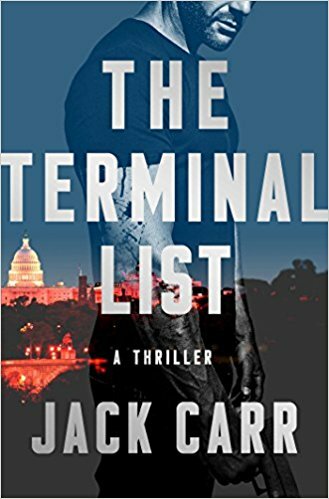 A new month means there’s a whole bunch of new thrillers, and we’ve got you covered to make sure you spend your time and money on the best ones suited for your taste. As always, we’ve highlighted two new titles to be our Featured Selections, and this month those books are Steven Berry’s The Lost Order, and David Baldacci’s The Fix. 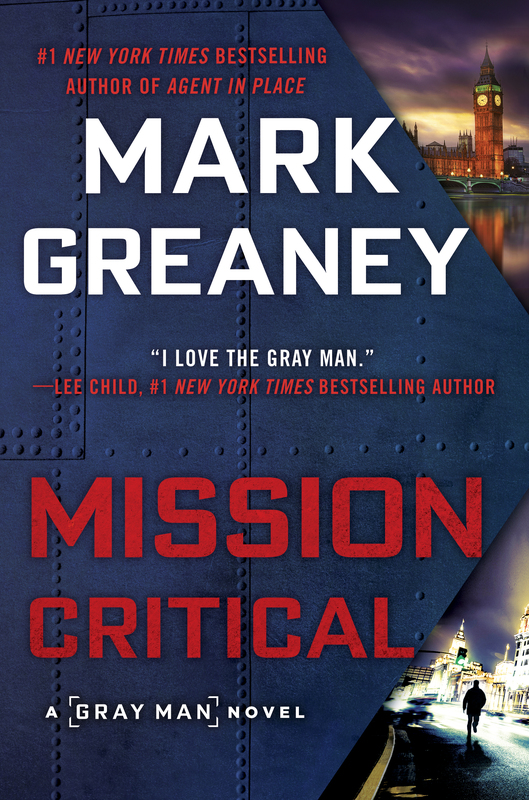 In The Lost Order, Berry brings back his series protagonist Cotton Malone for another pulse-pounding adventure that’s packed full of history and top-flight action. We feel, and are pretty sure you’ll agree, that this is Berry’s best novel to date. While the premise isn’t entirely new–Cotton Malone races to find lost treasure before a group of bad guys can get their hands on it–it all comes together much better than some of Berry’s previous work. On top of that, the group of bad guys are also planning a coup, aiming to take over the White House and change America as we know it forever. 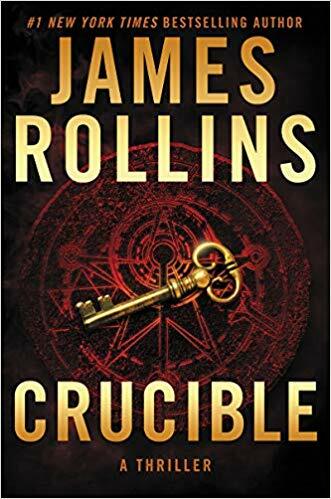 The twisting plot features a number of surprises and a rather brilliant (and fun) way to bring back the former fictional president, Danny Daniels, one of Berry’s best characters. In The Fix, David Baldacci finally elevates his Amos Decker series to the same excellence that he’s demonstrated with other franchise characters John Puller and Will Robie. Decker, a special agent with the FBI, has a perfect memory. While that sounds cool, not being able to forget anything is both a gift and a curse, and Baldacci lays out the case for both. In this book, Decker witnesses what appears to be a random, totally unconnected murder and suicide. But things take a turn when it’s revealed that Decker’s case is actually a threat to national security. The pacing is fantastic, as this franchise finally reaches it potential, delivering a hard-to-put-down story that has a little something for everyone. With a new president in office and the future of the Magellan Billet still somewhat in doubt, Cotton Malone accepts what is supposed to be an easy job from the Smithsonian that turns out to be anything but. Leaving his bookstore in Denmark, Malone, the former operator for the justice department’s top-secret intelligence agency, heads to Arkansas with Cassiopeia Vitt, his lover and fellow Magellan Billet agent. Together they were dispatched to investigate at a location where another Smithsonian employee had been searching for treasure before being scared off by a local man named Terry Morse. On-site, Cotton does, indeed, find a few gold coins before coming face-to-face with Morse who, along with his granddaughter, Lea, has been protecting the land and its hidden treasure for decades. Cotton learns that the treasure belonged to the Knights of the Golden Circle, a Confederate spy ring that was assembled before the Civil War. And while the Knights were thought to no longer be in existence, Morse claims the Order is alive and well, though significantly smaller in numbers than in its original heyday. Morse, who only spills the secrets to stay out of jail, claims to be a sentinel–charged with protecting a portion of the $100 billion in gold and silver the Knights had assembled–just like his father, and his grandfather, and many others before him. Cotton knows plenty about the Knights of the Golden Circle himself, having heard stories about the Order from his father when he was a child. But as he continues to learn more about parties involved, he’s not entirely sure who he can trust, as everyone seems to have a separate agenda and an unwillingness to tell him the truth. Meanwhile, Stephanie Nelle, the Magellan Billet’s acting chief, is called in to investigate after the Smithsonian is broken into. It doesn’t take long for her to realize that both she and Cotton are after the same people–who are trying to find the Knights’ long lost gold by following a treasure map that’s broken into five parts, some of which are hidden in plain sight. While Malone and Nelle each chase their own leads, former president Danny Daniels mourns the loss of his close friend Alex Sherwood, a sitting Tennessee senator who died under suspicious circumstances. Sherwood’s widow, Diane, gives Danny reason to suspect something foul is going on, prompting him to investigate on his own. Daniels ends up uncovering a huge government conspiracy (one that his friend may have died to help expose) that involves a plan to exploit Article I of the United States Constitution, which would give the Speaker of the House more power than the president. Unfortunately, aside from the notoriety that comes with being a former president, Daniels no longer has any real power to do anything about what he’s learned. To get back into the game, Danny comes up with a genius way to go from ordinary citizen to someone of importance, then vows to stop Speaker Lucius Vance and Diane Sherwood from pulling off their plan. For longtime fans concerned that Daniels’ role will be diminished now that he’s no longer the president, you don’t have to worry about that. While Cotton Malone remains the star of the series, Daniels has a large role in this one and he steals every scene he’s in. Plus, the way in which the author makes Danny relevant again is nothing short of brilliant. With multiple high-tension plot threads playing out, one of which turns deeply personal for Cotton, all the characters’ paths eventually cross as they work together to solve century-old clues in order to stop a secret shadow government and a murderous couple hellbent on finding the Knights’ lost treasure. 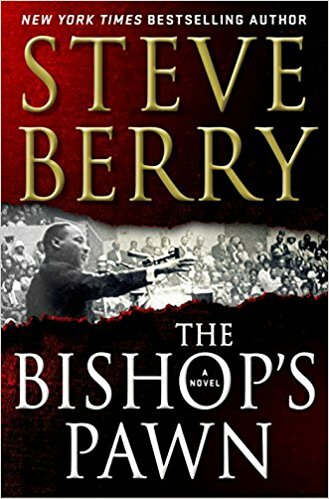 Steve Berry masterfully weaves historical fiction into a present day high-concept plot that moves at breakneck speeds from beginning to end. While last year’s The 14th Colony was good, The Lost Order, which falls somewhere between Three Days to the Condor and National Treasure, is Berry’s best work yet–and is sure to compete for best novel of the year. With nonstop action and a story packed full of conspiracies, assassins, power-hungry politicians, murder, and lost treasure, the latest Cotton Malone thriller is impossible to put down! “The saga of the legendary Courtney family continues in this fourteenth installment in Wilbur Smith’s bestselling series—the sequel to 2009’s Assegai—a thrilling tale of espionage, adventure, and danger, set in Africa and spanning from the Great War’s end to the dark days of World War II. As a member of the remarkable Courtney family, Leon Courtney knows how quickly fortunes can be won and lost. Over the course of more than two centuries, generations of his family have risen and fallen with the tides of history. Leon, too, has experienced his own share of triumph and pain. In the wake of his beloved wife’s death, the renowned big-game hunter is raising his young daughter, Saffron, alone in colonial Kenya. In the 1920s, the continent of Africa is a dangerous place. As Leon attempts to navigate the murky political waters of this most exquisitely beautiful and wildest of lands, his daughter grows into an independent and headstrong young woman bound for a far different life in Britain, as a student at Oxford. But over the course of more than two decades, spies, traitors, and adventurers will dog their every step. As the fitful years of peace lead to the outbreak of the Second World War—involving Africa once more—Leon and Saffron must fight for their survival . . . and that of their illustrious family. What started out as a normal day for Morgynn, a nine-year-old girl living with her mother on the upper east side of Manhattan quickly turned dark when she became the sole witness to a kidnapping. Robert Ellis, a businessman, was snatched off the streets by another man, who dumped Ellis in the trunk of his car and drove away. Morgynn wasn’t just a witness, though, she also found the first clue–a small hangman’s noose left at the very spot Ellis was taken from. 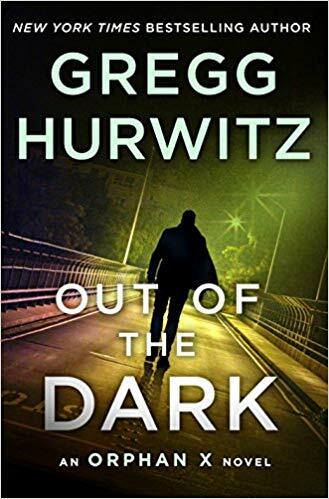 While Amelia Sachs was originally summoned to take a crack at the case, the veteran NYPD detective was unreachable, paving the way for her fiancé, forensic expert Lincoln Rhymes, to investigate. Initially, Rhymes theorizes that the kidnapping could have been a business deal gone wrong or, perhaps, even a kidnap-for-ransom type of scenario. However, those theories are tossed out the window when word travels from Italy that another person was kidnapped near Naples, and another small noose left at the scene. It’s also revealed that the second victim is a Libyan refugee, which kicks off the overly-political portion of Deaver’s latest novel. Unlike last year’s Steel Kiss, which fell a little flat after a strong start, The Burial Hour never finds its footing, stumbling right out of the gate. Not only is the plot improbable and far-fetched, but readers looking for entertainment will not appreciate being preached to on the author’s viewpoint regarding refugees and how he believes the situation should be handled. While it’s typical for authors to interject their opinions into their novels, most of the time it’s done so in a way that comes secondary to the story itself (Daniel Silva mastered this tactic with The Black Widow), which is not the case here. Instead, this politically-charged plot, which does receive a point or two for being timely, will leave readers desiring more–much more. There is a side story that involves Rhymes being asked to look into an American’s case by the State Department. Apparently, a college student visiting Naples has been accused of sexual assault and the people at State want him extradited back to America. Frankly, this plot line is more entertaining than the main course. Where Deaver does do a good job, as he’s always done, is when he lays out the extensive forensic evidence and protocols for collecting the evidence and analyzing a crime scene. Think CSI on steroids, but he makes the process itself fascinating. Few, if any, are in his league when it comes to laying out the science behind solving a crime. A lack of motive for the villain, silly connections, and a plot built on coincidences wrapped in a preachy political message contribute to Jeffery Deaver’s latest novel falling short of expectations. “On paper, Chris Brennan looks perfect. He’s applying for a job as a high school government teacher, he’s ready to step in as an assistant baseball coach, and his references are impeccable. Heather Larkin is a struggling single mother who lives for her son Justin’s baseball games. But Justin is shy, and Heather fears he is being lured down a dark path by one of his teammates, a young man from an affluent family whose fun-loving manner might possibly conceal his violent plans. Following the events of last year’s The Last Mile, newly-hired FBI agent Amos Decker returns for his third outing in David Baldacci’s The Fix. 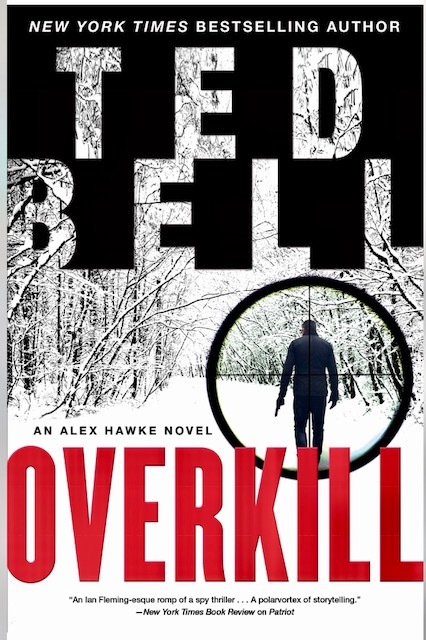 Amos Decker is not your average FBI agent. His size is the first thing that stands out, as Decker–a massive, hulk-like figure–still has the frame and body size that carried him to the NFL, where an injury ended his playing days. The career-ending injury he suffered, though, caused some rare side effects. The crunching helmet-to-helmet blow induced both hyperthymesia and synesthesia, fancy words that mean Decker cannot forget anything at all, ever. Oh, and it’s changed the way he sees colors. 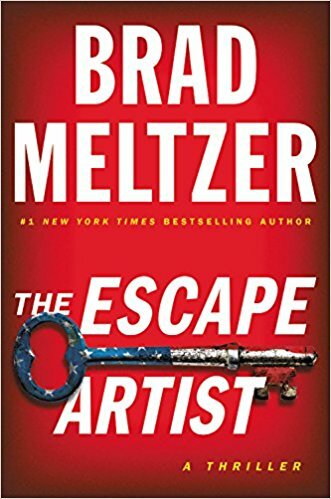 After a career as a police detective, a very personal case he worked on caught the eye of some people who made Decker an offer to use his unique skills and abilities to solve cold cases for the FBI as part of a newly-formed special task force. He accepted the job and took on his first case in The Last Mile, but this time he’s thrust into a murder investigation that even he can’t see any reason or motive for. While walking down the sidewalk towards the FBI headquarters, Decker decided against stopping for a breakfast burrito and happened to return his gaze forward just in time to see a man pull a compact Beretta from his pocket and shoot a woman in the back of her head. Pulling his own firearm, Decker runs forward but is unable to do anything other than watch helplessly as the gunman turns his weapon on himself and pulls the trigger one final time. The shooter was eventually identified as Walter Dabney, a former employee of the NSA who has since been working as a contractor with several government agencies, including the FBI. However, Decker and his team are unable to find any link between Dabney and the victim, Anne Meredith Berkshire, a substitute teacher who lived alone and had no close family members. An early working theory is that Dabney, who they confirmed was scheduled for a meeting inside the Hoover Building that morning, went off the deep end and decided to take a random person down with him. Decker pokes numerous holes in the initial theory and begins searching for additional answers through his own unique methods. At the top of his list of unanswered questions is how a woman who makes a living as a substitute teacher is able to live in a three million dollar condo and drive a new Mercedes. More questions pop up when the team digs into Berkshire’s background and struggle to find anything on her beyond the last decade. 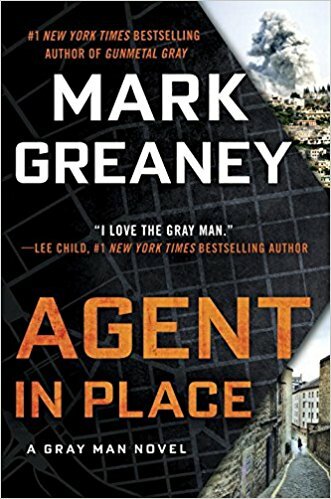 Just as the investigation heats up, Harper Brown, a no-nonsense DIA agent, requests a meeting with Decker and his boss, where she informs them that the murder is part of an ongoing investigation by the Defense Intelligence Agency and that they no longer need to spend any resources trying to solve the case themselves. When pressed, Brown says that the murder is now a matter of national security, involving a scenario that could be bigger than 9/11. Forgetting about a case and moving on isn’t what Decker does. In fact, it’s impossible for him. 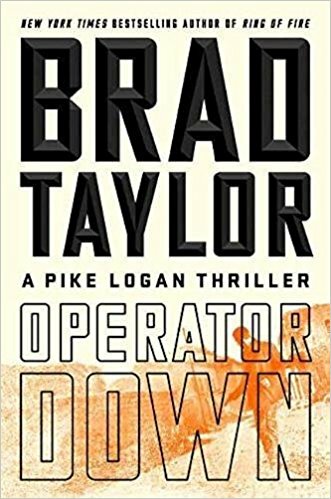 So, ignoring Brown’s orders, Decker and his team keep working the case and eventually uncover a massive conspiracy that quickly becomes much bigger than anything Amos Decker has tackled before. David Baldacci, with more than 110 million copies of his books in print around the world, has finally hit his stride with this series. 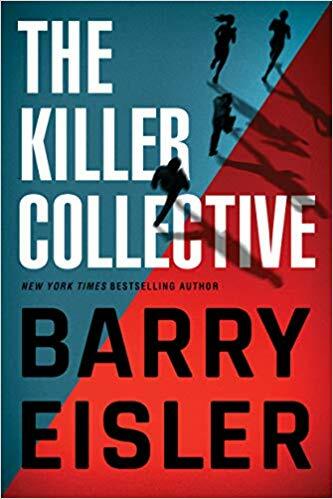 While Memory Man flashed potential and The Last Mile was a solid thriller, The Fix is without question the best Decker novel yet. 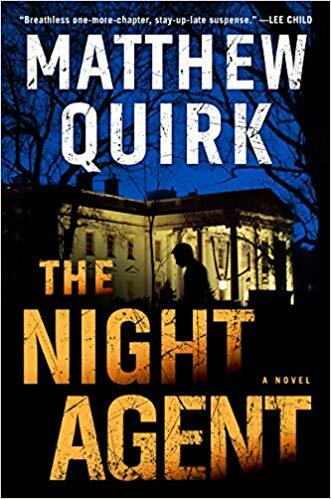 While the story starts out with the feel of a crime or mystery novel, it suddenly turns into a high-octane political thriller filled with enough lies, conspiracy, and espionage to keep fans of both genres happy. Over lunch, the director of the CIA asked retired agent George Mueller for a special favor. After going on and on about the unfortunate affairs in Cuba, the director mentions a man by the name of Toby Graham who is stationed there, all the while being vague about his request. A former spy, Mueller is no village idiot, and the fact that the director was name-dropping a man he knew was enough for Mueller to see where things were headed. Shortly after their meeting, Mueller arrived in Cuba. The year is 1958, just months before the fall of Fulgencio Batista. Mueller, who was happy in his retirement, was hand-picked for this mission due to a number of factors. For starters, Mueller is the man responsible for bringing down a double agent within the CIA (the events of which were told in Vidich’s 2016 debut novel, An Honorable Man) just a few months prior. The director knows, with absolute certainty, that he can trust Mueller–which is critical for his current assignment. Toby Graham, on the other hand, may be wavering on where he stands in regards to the conflict in Cuba and the CIA’s efforts there, and cannot be trusted. Traveling under the cover that he’s actually writing a travel article for a magazine, and paid well for coming out of retirement, Mueller is told to simply gauge where Graham stands on things. A simple feel-him-out mission is all it’s billed as, with no danger whatsoever. That, unfortunately for Mueller, was not completely true. Along with being a trusted agent, Mueller was also selected because his relationship with Graham goes back several decades when the two were undergraduates together at Yale. Truth is, the two were more rivals than friends, something the director actually thinks is more of a plus than a negative, at least in this case. What Mueller finds out is that an unconfirmed report suggests someone is running guns into Cuba, sidestepping the United States’ embargo against Batista, and aiding Fidel Castro and his band of rebel fighters. The report suggests that man is Graham, which means the CIA wants to know more than just what he’s thinking–they want to know what he’s up to. As Mueller’s mission continues, he uncovers far more than the CIA director told him. In fact, he realizes the CIA may have a slightly different motive in the matter, one that involves trying to minimize the amount of blowback they may be hit with due to questionable decisions. Written in the same vein as other slow-burn spy novelists such as Alan Furst and John Le Carre, Vidich’s latest thriller does take a bit to get going. That has more to do with the style of the novel, though, and once the plot kicks off it stays the course and never lets up. On the plus side, making the story short (The Good Assassin comes in at just under three hundred pages) negates the drawn-out feel these slow-burns tend to have. However, that leaves little time for character development, which is our only minor complaint. Beyond that, Vidich continues to impress. Just two books into his career, he’s batting a thousand, and there’s all the reason to believe his best is yet to come. The Good Assassin is a first-rate spy novel, with plenty of fun cameos and a smart, entertaining plot. “Stone Barrington is enjoying a boating excursion off the Maine coast when a chance encounter leaves him somewhat the worse for wear. Always able to find the silver lining in even the unhappiest circumstances, Stone is pleased to discover that the authors of his misfortune are, in fact, members of a prestigious family who present a unique business opportunity, and who require a man of Stone’s skills to overcome a sticky situation of their own. After the sinister leader of a futuristic DNA-modifying cartel frames the Interpol agent who is hot on his heels to take the fall for his crimes, things don’t quite go according to his plan. Set in 2045, lead Interpol agent Kenneth Durand is hellbent on bringing down Huli Jing, a black market corporation that runs a series of shops where parents can, for a large fee, genetically modify the DNA of their growing embryos. These procedures allow parents to handpick traits and characteristics–everything from what they’ll look like to athletic abilities–which are then written into their child’s DNA. But what started with good intentions as a way for parents to ensure their future children will live long, healthy lives while enjoying good looks and abilities soon morphed into something much darker. As Durand closes in on Marcus Demag Wyckes, the leader of Huli Jing, Wyckes formulates a plan that will take down the Interpol agent and allow him to escape. Once lured in, Durand is injected with a special agent that was written to genetically alter his appearance, leaving him looking like Wyckes. Prior to this point, the DNA modification procedures had only been done on embryos, not fully grown adults. The result, Wyckes thought, would certainly kill the host body–Durant–making it look like he himself was dead. Durand survives the procedure, waking up months later from a coma looking exactly like Wyckes. 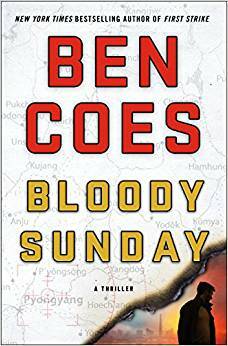 After escaping, Durand goes on the run from both Wycke’s men and his former Interpol team, who now believe him to be the sadistic leader of Huli Jing. As Durand flees from both good and bad guys, he runs towards the hope that a risky procedure in Malaysia can restore his old DNA. What follows is one man’s gripping and dramatic quest to find himself and stop an evil villain once and for all. Suarez takes an improbable scenario set in the future and manages to make it believable through superb writing. These types of stories only work if the author dedicates the pages necessary to building the futuristic world, allowing readers to feel present and up to speed on what 2045 looks and feels like. At the same time, over-illustrating things can bog the story down. Suarez, though, finds a nice balance here and goes into great detail–introducing a ton of fun concepts while keeping the story moving at a brisk clip. On top of that, Suarez makes the highly complex science elements understandable, which is no little feat when writing about something as complicated as DNA and genetic coding. With innovative drone technology, a new take on vehicular traveling, and a variety of other cool concepts, readers will love exploring the futuristic world Durand operates in. The concept of technology coming to life or technology merging with human genetics isn’t necessarily a new topic, but Suarez’s version of events is wildly entertaining. 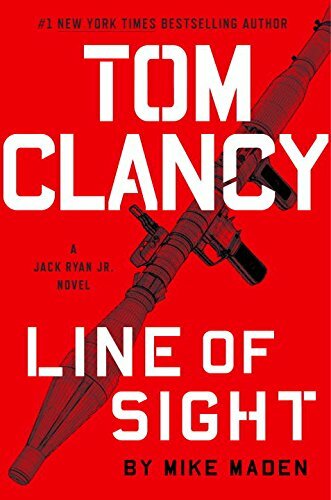 On the flip side, while there is lots of action, this is still a sci-fi novel, so if you come to the table looking for a spy-like thriller, you won’t find that here. Also, there isn’t a ton of character development, but most readers will still find ways to connect with Durand and the rest of the cast. Face/Off meets Total Recall in Daniel Suarez’s new thriller, Change Agent, which has plenty of action and suspense to keep readers engaged and on the edge of their seats from start to finish. “Christopher Golden’s Ararat is the heart-pounding tale of an adventure that goes wrong…on a biblical scale. When an earthquake reveals a secret cave hidden inside Mount Ararat in Turkey, a daring, newly-engaged couple are determined to be the first ones inside…and what they discover will change everything. Lucas Davenport, John Sandford’s most well-known and beloved character, returns for his twenty-seventh adventure in Golden Prey. Switching things up this time out, Sandford has taken his longtime protagonist from familiar territory and has him branching out into the unknown in his latest novel. Gone are the days when Lucas Davenport worked for the Minnesota Bureau of Criminal Apprehension. Instead, Davenport, thanks to powerful friends in high places, has been specially appointed to the U.S. Marshalls. Davenport’s gig with the Marshalls is special, though, as he’s been given free rein to pick his own cases and follow them wherever they go. Older now and less of a cowboy than back in his younger days, the one thing Lucas knows he wants is to be back on the chase. All he needs is a worthy target to pursue. When a murder file comes across his desk involving Gaven Poole, a deranged yet cunning criminal who’s been wanted for years, Davenport, fresh off a successful sting operation in Missouri, chooses to make pursuing the slippery killer his first real case with the Marshalls. Poole, who many thought might be dead, is now believed to be the mastermind behind a robbery in Biloxi, Mississippi, where millions of dollars were stolen from a drug house owned and operated by the Honduran drug cartel. In the process, four men and one six-year-old girl were killed. A coldblooded killer to his core, Poole mercilessly shot all the men before turning the gun on the girl and dispensing one final bullet into her head. What he didn’t realize at first, thanks in part to the body-numbing adrenaline pumping through his veins, was that one of the cartel members had managed to squeeze off a round before he died, which grazed Poole’s arm. Analysis of drops of blood found at the scene confirmed it was Poole’s DNA, making him the lead suspect. As Davenport heads south, he soon finds out that he’s not the only one hunting Poole. It turns out that the Hondurans aren’t the type to cut their losses or forgive and forget. They want their money back, and to see that it’s recovered in a timely fashion, they hire a pair of assassins named Soto and Kort. Of the two hired guns, Kort is by far the more colorful character. Revered as a master torturer by the types of sickos who would revere such a thing, she’s known for using a variety of tools to make people talk. Davenport is first made aware of their presence on the hunting trail when he stops to question Poole’s parents and finds that they’ve been gruesomely murdered as well. 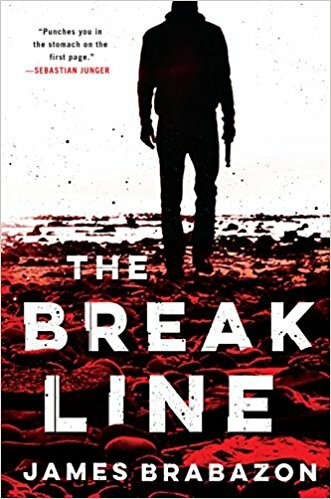 Figuring the drug lord who lost millions of dollars isn’t all that happy about his loss, Lucas knows the stakes were just raised and that an already dangerous situation just became even more treacherous. 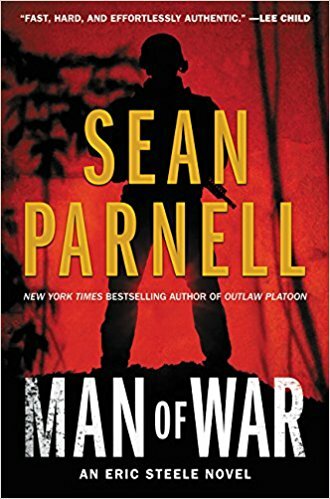 On top of tracking down Poole, which proves to be much easier said than done as the killer blazes a trail through multiple southern states, Davenport must locate the criminal before the Hondurans’ assassins find him, adding additional urgency to the case. Anytime a series reaches twenty-something books long, two things are certain: obviously, the author knows what they’re doing to keep fans entertained, as that sort of longevity isn’t too common. Secondly, it’s easy for the stories to become formulaic and repetitive. To that point, Sandford started setting a change in motion with last year’s Extreme Prey, which he then took a step further in his latest novel. Taking Davenport away from his long-time job and dropping him in new territory was a brilliant move by the bestselling author. While Lucas is still the same Rolex-wearing, smart-mouthed, fancy-car-driving investigator, he’s in a new world–which brings with it a plethora of new faces and opportunities. Rather than becoming stale, Davenport’s career change adds a fresh new chapter to Sandford’s series, which now feels as though it could continue on forever. 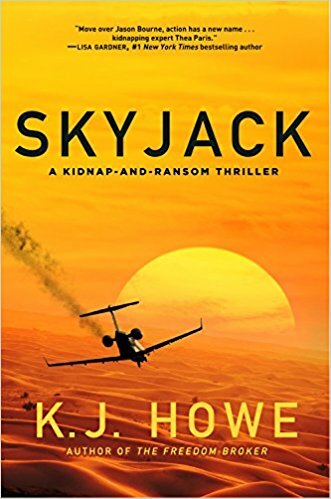 As readers follow Davenport in his pursuit of Poole and the assassins hired by the Hondurans, Sandford uses quick pacing and sharp dialogue to keep the plot moving. Multiple twists and turns–plus a few cameos that longtime fans of the series will appreciate–are thrown in for good measure, all leading up to a Sandford-esque ending that many will see coming but enjoy anyways. With Golden Prey, John Sandford successfully breathes new life into his most famous series, creating a page-turning thriller that will grab your attention and hold on until the very end. When sixteen-year-old Alexsi Ivanovich Smirnov, an orphan trying to survive in Azerbaijan during the 1930s, is captured by the Russians, he’s sent to Moscow, where he undergoes a series of tests. Initially, Alexsi was spared the horrors of imprisonment (or worse) in Siberia because the Russians observed his street smarts and cunning, quick-witted personality. Additionally, on top of speaking Russian, Alexsi is also fluent in both Farsi and German, which meant he had some value–if he could be trusted–hence the testing. 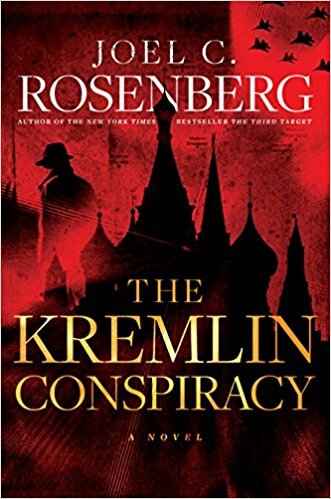 Eventually, the Russians reveal their plan and the reason they were so thorough getting to know Alexsi while understanding his thought process, beliefs, and outlook on the world. They want him to pretend to be a surviving member of a German family who were all killed, then head back to Germany with a Russian operative posing as his uncle to infiltrate the Nazi intelligence force by working his way up the ranks. Mr. Shultzes, the father of the slain German family, was a high-ranking official in the Nazi regime, making this a unique opportunity for the Russians–and Alexsi is their ticket in. The proposition turned out to be less of a request, though, when it was revealed to Alexsi that his only other option was life in a prison cell. So, taking the Soviet secret police (NKVD) up on their offer, he was trained in all the necessary areas to develop the skills and tradecraft he’d need for the job, then sent to Munich. Eventually, after proving himself to the Germans on the battlefield, Alexsi is assigned to a military intelligence station in Berlin, where he comes to work for legendary spy man Wilhelm Canaris. Thriving in his new role, Alexsi keeps his word to the Russians and begins sending coded messages back to Moscow (through clever means) and fulfilling his duties as a spy. The story takes a sudden turn, though, when the Germans ask Alexsi to partake in a dangerous mission called Operation Long Jump. In 1943, Winston Churchill, Franklin Roosevelt, and Joseph Stalin all made plans to meet in the Soviet’s embassy in Tehran, Iran. Their meeting became known as the Tehran Conference, and the Gestapo (the Nazis’ secret police) tasked Alexsi with infiltrating the site with the intention of assassinating all three famous attendees. While Alexsi is intimately familiar with high-pressure, nerve-wracking situations, he’s about to be tested like never before as both the NKVD and Gestapo close in on the young spy–who must decide which side to pledge his allegiance to once and for all. Writing in a way that makes readers feel like they’re back in the 1930s and 40s, William Christie does a tremendous job making such a complicated and convoluted subject seem simple. On top of that, the highly detailed historical events make the entire story feel more like nonfiction than fiction. The blurred line between fact and fiction isn’t always easy to see, but one thing is certain: Alexsi is a phenomenal new character. A cross between Dusko Popov (the real-life spy who James Bond is based on) and Uncharted‘s Nathan Drake, Alexsi is a likable young man who does whatever’s required for his survival. 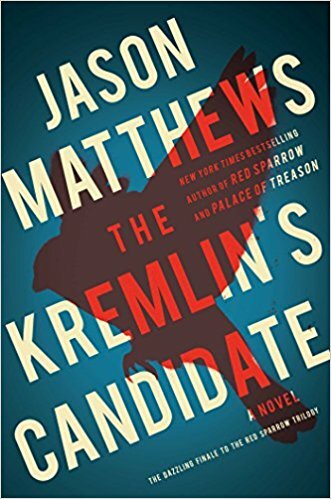 Truthfully, while his loyalty to both Germany and Russia are often tested, his only real loyalty is to staying alive–and whoever or whatever gives him the best odds at accomplishing that goal. The survival instinct Alexsi carries plays well in this story, and Christie does a fine job showing off his protagonist’s skills (like lock-picking and top-notch escape abilities) long before he’s living the life of a double agent. He’s a little rough around the edges and jaded, but for good reason, of course, and all of that adds to making him a fascinating character to follow along. Christie starts fast, slowing down just long enough to explain the necessary and intricate details readers will need to know for later on in the story, then amps it up, delivering a heart-pounding conclusion that may (or may not) leave the door open for more Alexsi in the future. “Margaret Douglas has worked hard to put her painful past behind her. Raised off the grid in an abusive home, her only escape was the nearby forest where she sought refuge whenever she could. There, in the peaceful woods, she discovered a strange gift: the ability to understand animals and to communicate with them. And so those creatures became her only friends, her only joy during a desolate childhood. Now Margaret wants nothing more than to live a quiet life, close to the animals and under the radar. But her abilities have not gone unnoticed and there are those who would use them for their own purposes. Determined not to be a pawn in anyone’s game, every time someone gets too close, Margaret uproots her life and outruns them. When John Lassiter breaks into Margaret’s apartment, she vanishes again, but Lassiter has good reason to be persistent. 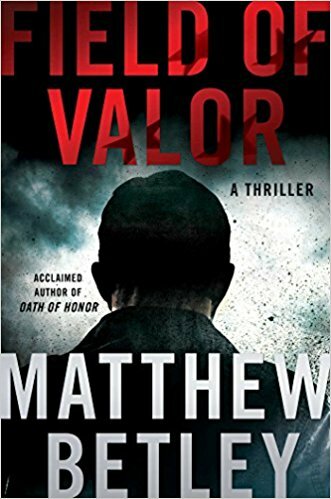 As a CIA operative, he owes his life to his men , one of whom is being held captive by an unrelenting enemy―an enemy who has set his sights on Margaret. Which means that Lassiter must control her to use her as bait. Previous Mitch Rapp Is Back: Click To Find Out The Title For The 16th Mitch Rapp Novel, In Stores This September! I’lll be reading The Lost Order & The Fix. I was thrilled to see the April list come out early. I’ll be reading The Fix and The Good Assassin. readers to the very best books of the thriller genre. the Batista regime. The sense of foreboding grows as the certainty of Castro’s victory becomes clear. Thank you, Ryan,for recommending these books. So glad to hear you enjoyed them, Diana! I finished the book “The Fix” last light before I went to bed. Just in time to qualify for the challenge this month!! This was by far my favourite Amos Decker book so far, and I think perhaps Baldacci at some of his best writing. Decker is such a great addition as a character, because of his unique abilities, and his quirky social flaws. In Vicious Circle by C.J. 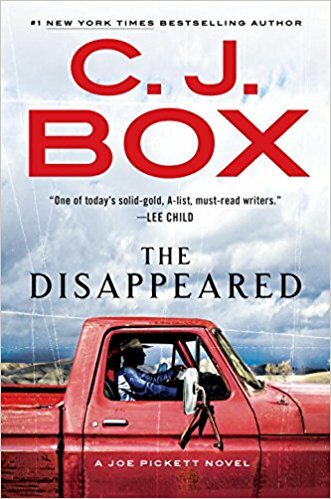 Box –the writer continues his winning combination of high suspense with outdoor drama and falconry. I finally got my hands on “Golden Prey”. Just started it this morning. I’ve also picked up “A Single Spy” and “The Good Assassin”. I just finished Vidich’s “An Honorable Man”. A very good debut novel. The George Mueller character has lots of potential. The Fix: Amos Decker books are getting better with each book the characters are well developed and growing with each book. Amos is great and makes you think of would you like to have his memory at times I would say yes other I would say HELL NO I wouldn’t want to relive my mom dying perfectly bad enough with my memory as is! 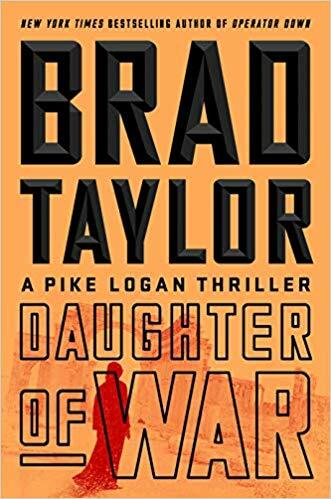 Another great series recommended by Ryan AKA @MitchRappFans AKA @TheRealBookSpy if you find yourself looking for a book to read you will not go wrong asking him! 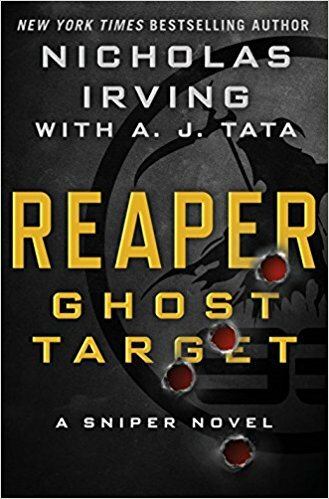 I just finished “The Good Assassin.” If you are looking for something along the lines of Mitch Rapp, Evan Smoak or Court Gentry, then this isn’t the book for you. It takes a long time for any action (at least if you are expecting something from those or similar genres), and the protagonist is neither macho nor a former special ops killer. There is, however, very rich and vivid descriptions of the landscape, interesting development of characters and some striking turns of phrase (including some literary references). 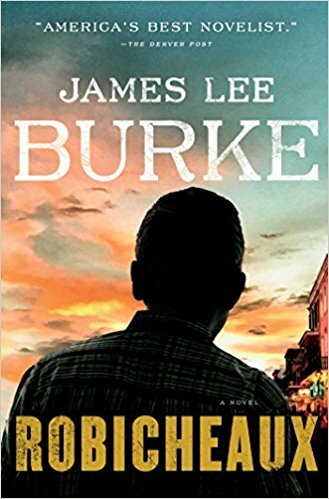 Although the first portion of the book is set in Havana, much of the drama unfolds in the Cuban countryside, which along with the dark and sad characters (mentioned by another above), made me think more of The Sound and the Fury (without being as difficult to follow). Going to read “A Single Spy” for April – sounds like a good one! Ok I read The Fix by David Baldacci and I was disappointed. There was no real depth to the story despite the twists. Going over and over again about the loss of his family etc is tedious and the obvious connections between characters was again timid. I thought it was a tame book compared to his Will Robbie series but no doubt I will read the next one out of curiosity. Hi. Where is the May and Junes reading guide,? I had the same question about the May reading list – it doesn’t show up from the drop down list above. Thanks for posting the link! I’m reading The Red Line. Apologies – this should of read May and Junes Reading Challenge…. Just finished Wilbur Smith’s novel … interesting that he is co-authoring now. I am hopeful that the Courtney’s will continue even though Mr. Smith is getting older (and closer to retirement?). Wilbur Smith novels (and there are a lot of them) have ALWAYS been a special joy for me. Learning more about the history of Africa while framed by great stories. He is a must read. Reading the Lost Order right now. Steve Berry always rocks with Cotton, Nelle and Cassiopeia – and the Lost Order shows off Berry’s talents as a historical researcher and writer. I never pass an opportunity to pick up a Berry novel!